Please take the time to read the following Terms and Conditions prior to ordering any academic services provided by our company. These Terms are applicable to all who use or utilize our services, including any visitors to our website. In these Terms, ‘we’, ‘us’ refers to our company. In these Terms “you” refers to student, or the parent / guardian of the student who are using our website and services on behalf of the student. All rights stated in the Policy section of this website are rightfully reserved with our company. Our website content in its entirety is copyrighted material, with our company enjoying exclusive ownership. You may print out our materials only if it is for non commercial use. Using any part of our website content for commercial purpose, reproducing, or modifying our content is NOT permitted. All rights as stated in the Policy section of this website are rightfully reserved with us. Any services we provide to you are exclusively provided to you, and you may not exchange those materials or transfer your rights to someone else in order to receive their services, without written consent from us. Also the minimum age requirement for a student to personally subscribe for our services is 10 years. Students who are under the age requirement will require the consent of parent or of the child’s legal guardian. You are granted limited authority of using our services non-commercial use. You may download, copy, modify, duplicate, reproduce, distribute, publish, transmit, or even offer the services we provided you with for sale, but you may only do so with a written consent from our team at My Homework Help. Any violation of the terms as stated in and related to our website will result in total suspension of the license you were granted from us. By enlisting or utilizing the aids of our company you affirm that you will utilize the materials for academic purposes only, and under no condition may you utilize this information as original student work for obtaining a course credit or grade. We hold no responsibility for any delay or interruption that you may face in gaining access to the site; nonetheless we are prepared to support you. We do not acknowledge any responsibility for any damage or loss of information on your computer, network or server; however we always use verified software. 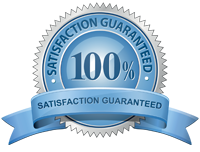 We do not guarantee that your access to our website will be one hundred percent error free; however our team of experts strive to ensure smooth operation. 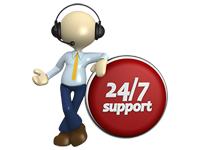 We reserve all rights of limiting access to our site for routine maintenance and site updates. We are not to be held responsible for any failure you suffer in courses due to any connection error, or routine site maintenance closure. Our team of specialists are 100% dedicated to help you and they invest 100% effort to solve your assignment related problems. In case a poor grade results from using any of our services, we will gladly offer a rework, but not a refund as each assignment is treated like a product, and once delivered to the student the product is considered being sold. In the event that any of the aforementioned Terms gets unenforceable – either partially or in it’s entirely, the legitimacy and validity of other terms of the contract will remain unaffected. We retain the sole authority to revise or amend the Terms and conditions without providing you with any notice. The most current version of the Terms and Conditions will be valid and will supersede any past versions. We reserve the sole authority of terminating the service agreement, either in part or in its entirety, at anytime we deem valid. Any Terms of Service agreed upon between the student and MyHomeworkHelp.com will supersede and terminate all former agreements. 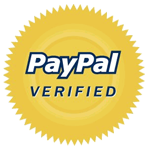 Our organization strives to maintain the quality, accuracy, fulfillment and/or the validity of any services that we provide through our website; however the User recognizes that we cannot guarantee any specific outcome.